PATEK, REF. 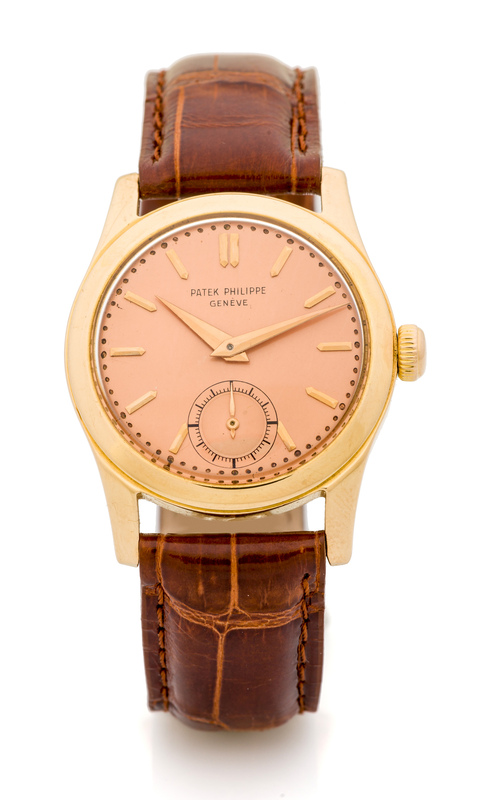 2483, PINK ON PINK A fine and rare manual wind pink gold waterproof wristwatch with pink dial. Signature Signed Dial, case and movement signed.